Shortfin makos are the gold medalists of the shark world. They jump the highest, swim the fastest and cover marathon distances in the open ocean. 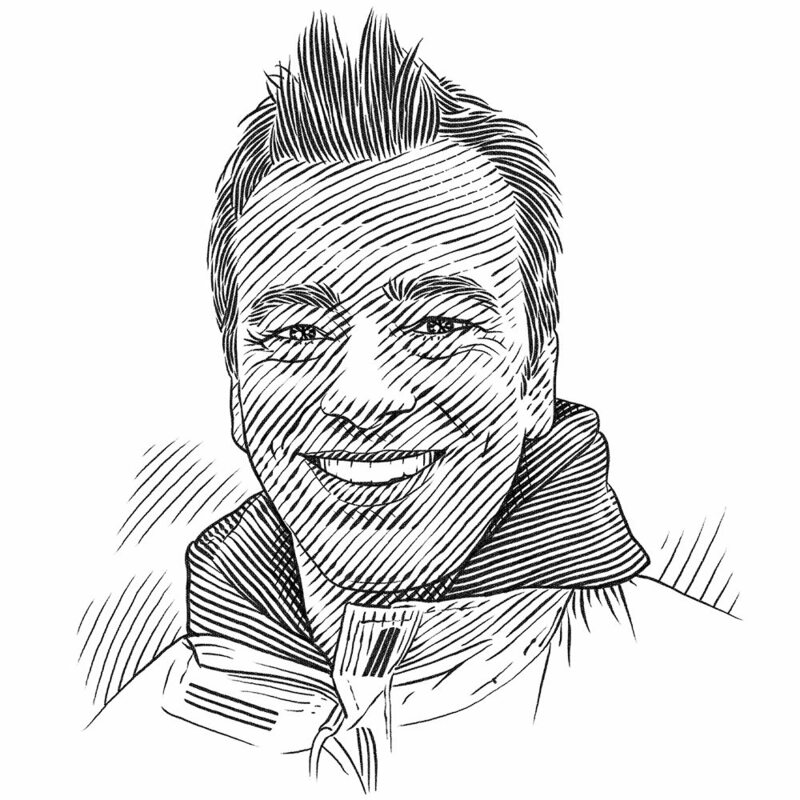 David is exploring how their Olympian lifestyles overlap with commercial fishing fleets. Our aim is to track the long-term movements of male and female shortfin mako sharks Isurus oxyrinchus in the North Atlantic using new tags we have developed, and use the data gathered to determine shortfin mako habitat preferences and quantify their spatio-temporal overlap with long-line fisheries. Sharks are particularly susceptible to over-exploitation due to slow their growth rates, late age at maturity and low fecundity. The shortfin mako shark is particularly vulnerable to over-exploitation; yet global catch rates and landings of this species remain largely unregulated. Shortfin makos are caught as incidental and directed catch in long-line and gillnet fisheries for tuna and swordfish, and they are landed for their high-quality meat and fins. Mako sharks in the Atlantic comprise 17% of the total pelagic shark catch, with an estimated 364,420 individuals captured in 2006 alone. The true total catch, however, may be up to three to four times higher due to illegal, unregulated and unreported catches. Given this high level of exploitation, the low resilience of shortfin makos and reported declines in abundance, there is an urgent need to resolve the discrepancy between regional abundance trends, which show declines, and stock assessments, which show stability. Preliminary, short-term satellite tracking of makos suggests high spatial overlap with long-line fisheries. However, the longer-term data that will be obtained in this study are vital to determining the persistence of overlap. The lack of basic information on movements of these sharks prevents progress in assessing their populations. Since fishing fleets expanded into the open ocean in the past 50 years, sharks have been subject to intense exploitation. It is reported that in the Atlantic Ocean 18 species of pelagic sharks have declined by an average of 50% in the past eight to 15 years. Apparent declines are linked to many tens of millions of individual sharks being harvested each year by high-seas fisheries. This is especially problematic because the exploitation of oceanic sharks remains largely unregulated. There is a critical need and concern for improved management and conservation of oceanic sharks. Management action for oceanic sharks is hampered by a paucity of high-quality data on total catches, landings, catch locations and the susceptibility of sharks to fisheries. Additionally, conflicting assessments of population trends of vulnerable species, due to data limitations, further complicates conservation strategies. Information is urgently needed on the habitat preferences, movements and migrations of oceanic sharks and the extent of their overlap with commercial fisheries. Recent studies suggest that the shortfin mako shark is particularly at risk from human exploitation. The shortfin mako is an extremely active, warm-bodied, pelagic macro-predator that occurs in temperate and tropical oceans. In the western Atlantic Ocean it is found from the Gulf of Maine in the north to Argentina in the south, including the Gulf of Mexico and Caribbean, and in the eastern Atlantic, it is found from Norway to South Africa including the Mediterranean. Despite shortfin makos being of high value to fisheries, relatively little is known of their ecology. Key aspects of the species’ life history, such as its general movements throughout the majority of its range, are not well understood. Attach new long-term, deep dive-resistant Argos satellite transmitters to shortfin mako sharks in the central North Atlantic. Analyse the movements of makos to identify areas they frequent and migratory routes. Quantify habitat preferences with random-walk modelling using custom-written software and map the availability of mako habitat. Determine the spatio-temporal co-occurrence of shortfin makos with GPS-track locations of fishing vessels.